Honor Band Auditions are just around the corner! Now, I know that the phrase “Honor Band Audition” can add a lot of pressure and feel like this audition is going to be completely different than any other audition you’ve tried to put together. WRONG! This audition isn’t any different from a chair placement or playing test just because it is for an honor ensemble. If you start to freak out when you hear the words “Honor Band”, you are already putting yourself behind the pack. As someone who has prepared many ensemble auditions as well as listened to auditions and selected players for ensembles, I can tell you that there are 5 main things that the judges are looking for. If you can do these things, in this order, you will have your best chance at making it into an honor ensemble or even just getting a higher chair placement in school. This may seem like a “no-brainer,” but it needs to be mentioned! In your audition, you should play the correct notes at the correct time! If you don’t do this, you automatically move towards the bottom of the list or your tape is thrown out entirely. Take the time to ensure that your audition consists of the correct material! Once you have the correct notes/rhythms, the next thing a judge will listen for is articulations and dynamics. Your audition might have these things notated, or it might not! 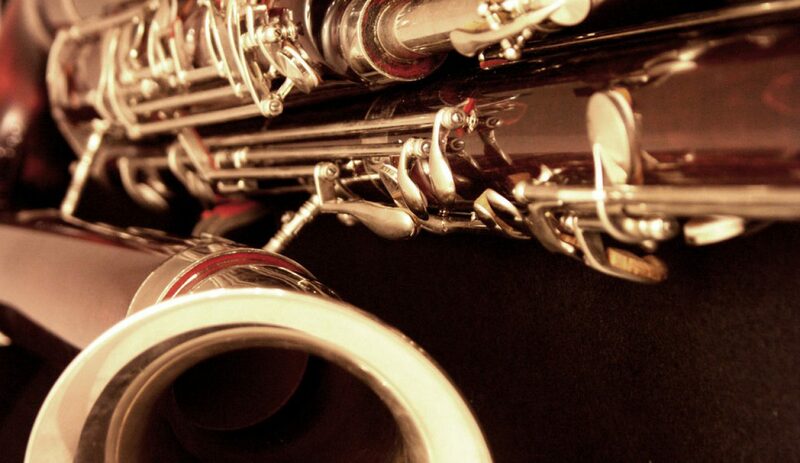 Work with your band director or private instructor to determine what is appropriate. If it sounds incorrect or feels weird, it probably is! By this point, you have the right notes, rhythms, articulations, and dynamics. The next step is to make sure your intonation is correct! Playing in tune is something that we should always strive for. It may not always be perfect (I’d be lying if I said I never played out of tune! ), but it should always be close! This step is a combination of all the previous steps with a little bit extra. Musical style is something that is subjective, but we can always agree that music sounds better when the style is consistently appropriate. If you can play half of your audition with gorgeous style but it lacks in the second half, that is something a judge will notice. Consistency of style is what separates a good audition from a great audition. I know that it may shock some of you that I put tempo this as the final determining factor in an audition, but I would argue that tempo is what makes or breaks a superb audition. You should NEVER play an audition at a tempo faster than you can accurately execute. If your audition is supposed to be at 120 bpm but you can present it effortlessly at 104 bpm, go the slower tempo! A judge will always prefer a clean representation at a slower tempo as opposed to a muddled or messy audition at the given tempo. The same goes for slower excerpts as well! Just because you can play the slower excerpt at a faster tempo doesn’t mean that you should! Slow excerpts are chances for the musicality to shine, not the technical facility. There you have it! My five steps to preparing your honor band audition. If you focus about these 5 things, in this order, I guarantee that you will have more success in preparing your audition. Even if you don’t make it into the honor band or get that first chair spot, if you follow these steps in preparation and refinement, it will help you become a better musician! P.S. I recognize that, in reality, you should focus on all 5 of these things at once when practicing and preparing an audition. I listed them in order of importance and what criteria I would use as a judge. Just taking a bit of time to talk about focus in the practice room. I am notoriously bad at keeping focused in the practice room. I like to go walk around, get a drink, check my email, etc. which affects my focus which leads to a less sucessful practice session. However, today, I decided to try using a variation of the Pomodoro Technique while practicing, and I had substantial amounts of sucess! To vastly oversimplify, the Pomodoro Technique is the idea of dividing work (practice) into intervals, traditionally 25 minutes in length, separated by short breaks. I had been wanting to try this technique for a while, but I didn’t know how to eliminate other distractors. It so happened that my wife showed me this app while I was struggling trying to clean our condo called Forest that helps you stay focused by preventing you from using your phone during timed sessions. Each session plants a tree, and the tree grows throughout the timer. If you don’t use your phone during the session, a tree is planted in your forest! If you use your phone, you are forced to kill the sapling. It may sound silly, but it seems to work for my wife! I divided my intervals into 45 minutes and gave myself 5 minute breaks. I used Forest to monitor my time. I assigned certain tasks that I was going to do in each section. Example: 1st interval is scales/etudes, 2nd is solo piece, etc. I was stunned by how productive and focused my practice sessions were. After each session was done, I felt the urge to add more intervals of practice because I wanted my forest to grow! The 5 minute breaks were plenty of time for me to catch up on emails, social media, hydration, etc., so I was ready to start again after the 5 minute break. I plan on using this method in the future, and I think I’ll see some great results! If you’re feeling stuck in the practice room, maybe give it a try! P.S. I have nothing to gain from advertising the Forest app. I just like it and think it might be a useful resource for those looking for a fun way to focus! Practice Strategies – Quarter Tempo! This semester, I’m working on Sonatine for Bassoon and Piano by Alexandre Tansman. For those of you unfamiliar with the piece (like I was about a week ago! ), it’s a 20th century piece that has some really tricky bits in the solo part. It’s not your standard Vivaldi or Mozart piece that bassoonists are more used to. My plan is to play this piece on my recital in the spring, so I wanted to make sure I practice very seriously from the get go. When the piece arrived in the mail, I devised a new practice plan that I am starting to feel pretty good about! Try and sight-read the entire piece at roughly 75% tempo slowing down at the hard parts. Repeat for the rest of the piece! I started this practice strategy today, and I’m already seeing results! By starting at Quarter Tempo, I’m already setting myself up to succeed! The 1st movement sits at 132 bpm, so I started at 66 bpm with the eighth note getting the beat. The difficult rhythms immediately were simplified and I was able to play the rhythms and notes correctly from the beginning. I was able to focus on things like musiciality and proper finger technique. Over the course of about an hour and a half, I was able to work up 12 measures (about half of the first section) from 66 bpm to the eighth note to 72 bpm to the quarter note. Granted, I’m still less barely more than half tempo at this point, and it’s only 12 measures; however, I feel a lot more secure and comfortable about the beginning of this piece! I’m hoping that this method leads to less frustration and more facility and musicality as I prepare this piece. So far so good! Below is a video of my work so far! For my first post on my site, I was inspired by my fiancé to write about the process it took to create a multi-track video. I just recently made my first multi-track video, so I’m pretty inexperienced. However, this might save you some of the frustrations I had when I made my first video. First, you’ll want to get your audio recorded and mixed. For me, I recorded the audio and video separately and matched them up later. This was easier for me, so that’s how I’ll go into these instructions. I used Audacity for my sound editing software. It’s free, super user friendly, and does just enough for what I needed it to do. I started with a click-track or metronome to keep my tempos steady. Record your first track while listening to the click-track on headphones. Then, you record the following tracks while listening to the click-track AND any and all previous tracks you’ve recorded. When you’re finished recording your tracks, you can remove the click-track and begin mixing the audio. I kept my sound mixing to the bare minimum. All I did was adjust the gain of each overall track to make sure I could hear all the different parts at the level I wanted to. After mixing the audio, export the file as an MP3 file. This is the audio to your multi-track video! Because I recorded my audio separately, this step was pretty straight-forward. I set up my camera and recorded video for each separate audio track/part. While recording the video, I had my headphones in playing the click-track to make sure I kept my tempos steady. At the beginning of each video, I counted an entire measure out loud and then counted an entire measure silently before playing the part. This becomes important in the video editing process allowing each video to be synced with one another. Now that you have your video recorded, we can move to editing the video. Editing the video was the hardest part for me because it was what I had the least experience with. It is incredibly important to make sure that your video editing software supports split-screen video before starting this process! I didn’t check ahead of time, and I was rather frustrated to find out that Windows Movie Maker does not have a split-screen feature. I ended up using Pinnacle Studio Ultimate because that was a video software that my parents had at their house. Other common video editing software like iMovie has started to catch on and support split-screen features. Anyway, find a split-screen template that your like. Once you have set up the split-screen template, you can assign videos to each separate screen. You’ll need to trim each video to make sure they line up. This is where the counting you recorded in your video comes in handy. If you trim the beginning of each video to start the beat after the measure you count out loud, the videos should all start together! After trimming the beginning, trim the ends of the videos to match. With the video edited, you move on to combining the recorded audio with the video. For this step, you’ll need to deactive the audio on all but one of your videos, preferably the video that has the main melody at the very beginning of your track. Because all of your video is lined up, you’ll only need to match the audio track to the audio of one of the videos. Import your audio track into your video editing software and begin to line up the audio track with the video’s audio. If your editing software has a visual component to each audio track, you can match the visual components. In order for the audio track to match the video, try and make the start points as close to lined up as possible. Some editing programs let you zoom in to fractions of seconds on the timeline and you can adjust it in minimal amounts. To see if the audio and video match up, play the videos with the audio for the main video and the audio track. If the two match up from an auditory perspective, they should match up from a visual perspective! Deactive the audio for the last video track, and now your video and audio should be matched up! In this step, I made my video look “pretty.” I added a title at the very beginning of my video, and I had the video fade to black at the very end. Some people take a lot of time on this step, but I am still learning video editing! Once you have your video to your liking, you can export the video to your preferred file format! I hope you found this somewhat informative! If you want to try making a multi-track video, I’d like to think that this process could be beneficial to you. Thanks for reading this post! If you want to check out my multi-track video, you can find it below!